All research articles are blind peer reviewed by at least two suitably qualified experts in the area of the article. 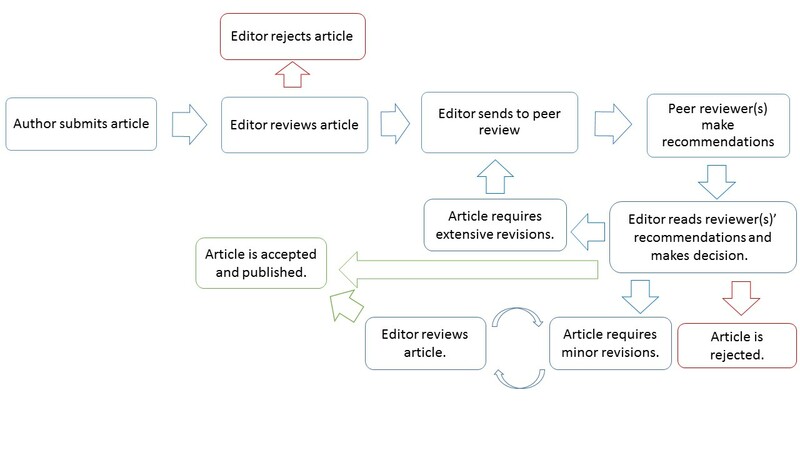 All publication decisions are made by the journal's Chief-Managing-Editor/Editors-in-Chief on the basis of the reviews provided and the merit of the article content. Members of the international Editorial Boards/Reviewers lend insight, advice and guidance to the Chief-Managing-Editor/Editors-in-Chief generally and to assist decision making on specific submissions. Managing Editors and Editorial Assistants provide the administrative support that allows Research Plus Journals to maintain the integrity of peer review while delivering rapid turnaround and maximum efficiency to authors, reviewers and editors alike. RPJ additionally benefit through the manuscript referral process from the high quality peer review conducted by established journals, conferences and other research forums. Editors of RPJ will decide promptly whether to accept, reject, or request revisions of referred papers based on the reviews and editorial insight of the supporting journals/conferences/research forums. In addition, Editors will have the option of seeking additional reviews when needed. Authors will be advised when Editors decide further review is needed. Articles submitted directly to a RPJ will be fully peer reviewed by at least two appropriately qualified experts in the field selected by the Chief-Managing-Editor/Editors-in-Chief. The Chief-Managing-Editor/Editors-in-Chief or a designated member of the Editorial Board will then decide whether to accept, reject or request revisions based on the reviews and comments received. Editors will decide whether each submission reports well-conducted research with conclusions supported by the data presented in the paper. Assessments of priority will not be a factor in decision-making, but all papers must make an incremental or novel addition to the literature and betterment of research community. All final decision related to the publication of a specific article/issue/volume in this journal is with the Chief Managing Editor of RPJ. This decision will be based on different evaluation parameters namely but not limited to the decision of the EIC, review recommendation by reviewers, content appropriateness, copy right, ethics etc. Use of this web site signifies your agreement to its terms and conditions.